Upcoming Events and Fishing Tournament!! With all the past (and upcoming) cold temps/snow/ice, it’s time to start thinking about a spring thaw!! 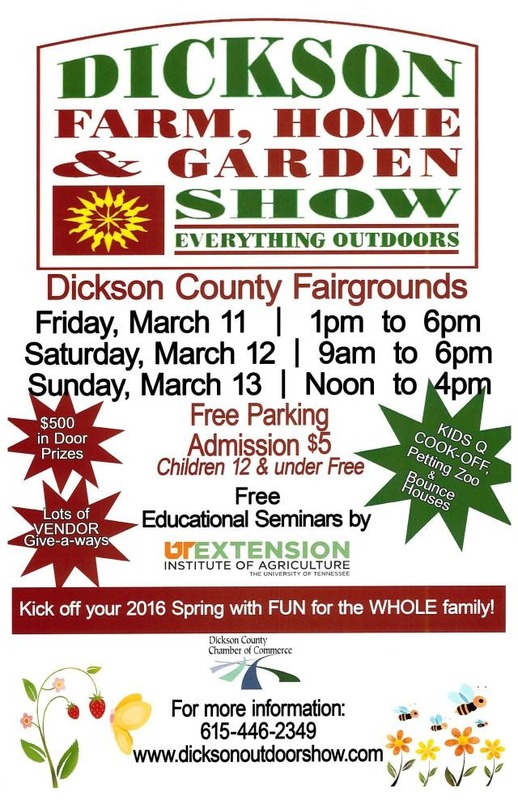 Join us at the Farm, Home & Garden show at the Dickson Fairgrounds March 11-13!! We’ll be there with the latest products for pretty much anything battery-related! We’ll be at the Emergency Preparedness Show on March 26th as well. See you there!!! 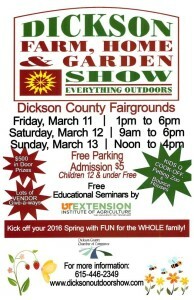 Since you’re making plans to attend the Farm, Home & Garden Show (you ARE making plans, right? ), continue on to reward your kids for behaving by checking out Jake’s Night Out 2016 event! 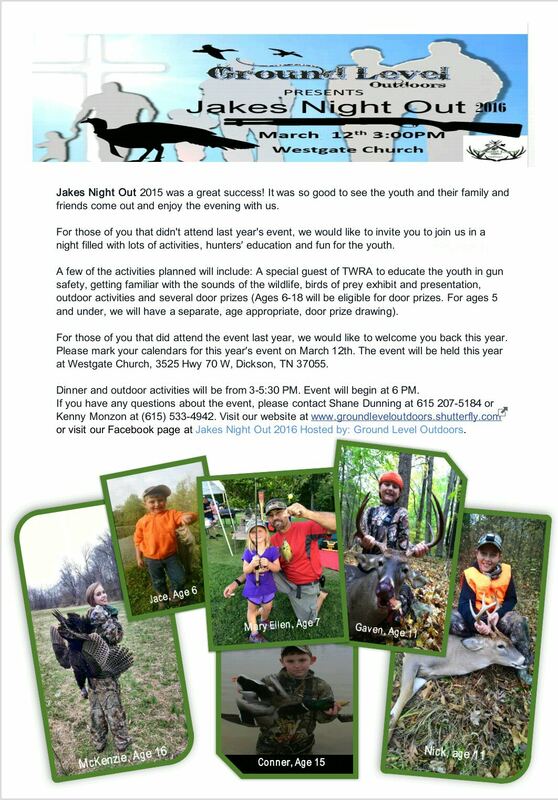 This event is put on by Ground Level Outdoors for a night filled with lots of activities, hunters’ education and fun for the youth! A TWRA representative will be on hand with a birds of prey exhibit and presentation, outdoor activities, door prizes (ages 6-18 only) and a separate age-appropriate door prize drawing for ages 5&under. Dinner and outdoor stuff starts at 3pm, event starts at 6pm. Check ’em out! 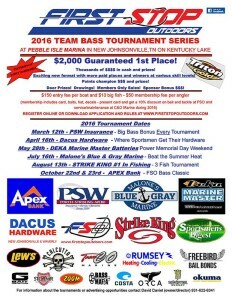 Tennessee Battery Sales is proud to be a sponsor for First Stop Outdoors’ 2016 Team Bass Tournament Series! 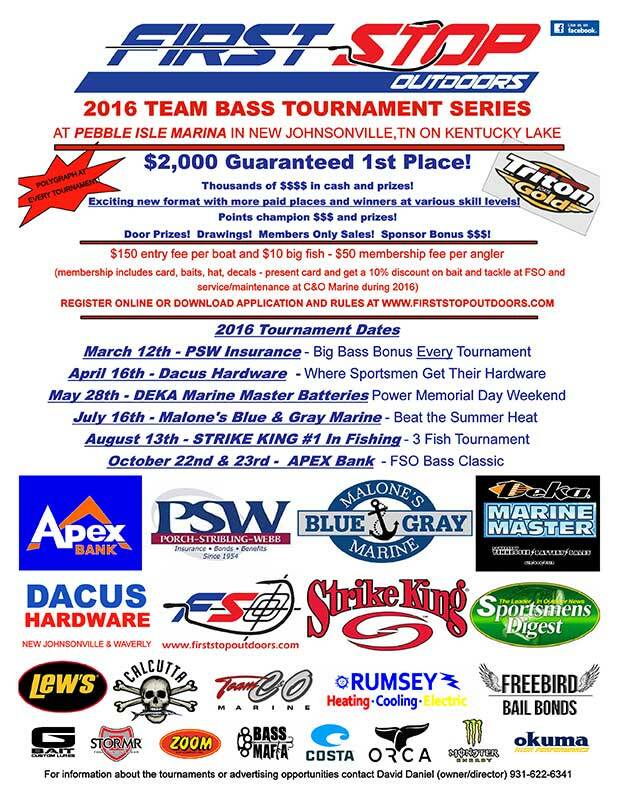 The Series will be held at Pebble Isle Marina on Kentucky Lake with a guaranteed $2000 1st Place! Join us there for the Power Memorial Day Weekend (5/28/16)sponsored by Tennessee Battery and DEKA Marine Master batteries! Check out the flyer or firststopoutdoors.com or on Facebook for more information!